← Which Are Worse, Superman III & IV Or The Schumacher Batman Movies? The highlight of any visit to a theme park for sci-fi fans are the sci-fi based rides and attractions. Whether derived from popular movies and TV shows or original creations, these rides and attractions feature top-notch effects and thrills and bring these fantastic worlds to life. There has been some exciting developments regarding theme park attractions; notably Disney’s acquisition of the Star Wars franchise. 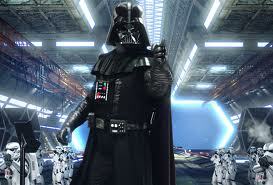 Rumors are rampant that there will be a major expansion devoted to Star Wars in Disney’s Hollywood Studios. Meanwhile Universal Studios is celebrating their latest sci-fi attraction, Transformers The Ride–3D. It may be thrilling to contemplate tomorrow’s attractions, but many memorable rides have stood the test of time despite featuring outdated technology. What made them classics were how well they were executed or captured the mood of a film or TV show. This list celebrates past and current rides and attractions that fire up the imagination. Please note, rollercoaster rides were left off the list because frankly, theming most rollercoaster rides are a waste. When riding those vomit rides, riders are zipping by so fast and hard on the tracks that no one can properly view or admire the rides’ sci-fi trappings. 10. Borg Invasion 4D (Star Trek: The Experience): This attraction was basically a 3D movie but wrapped around it was an interactive storyline where guests visited a Starbase that came under a Borg attack. 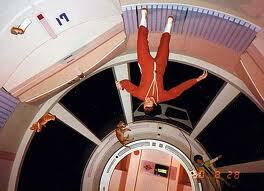 Guests were then “evacuated” by Starfleet personnel into an escape shuttle, which was the movie itself. 9. 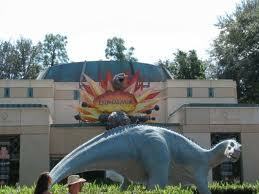 Dinosaur (Disney’s Animal Kingdom): Originally called Countdown To Extinction, the ride’s name was changed to its current title when the film Dinosaur came out in 2000. The premise is that a time-traveling jeep goes back in time to rescue an iguanodon, while the vehicle must avoid audio-animatronic dinosaurs, meteors and other dazzling effects. The herky-jerky ride is pretty rough but the sudden chaotic moves add to the excitement and suspense. 8. The Timekeeper (Magic Kingdom): The attraction was one of those Circlevision 360 movies Disney has all over Epcot’s World Showcase where standing audiences have a film played all around them. The Timekeeper was an android (voiced by Robin Williams) who transports the audience, Jules Verne and H.G. Wells throughout time. The finale that takes place in a futuristic Paris was simply stunning and immersed guests into a futuristic world. 7. 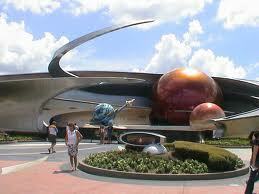 Mission: Space (Epcot): According to some astronauts, this ride does a great job of recreating a rocket launch. Centrifugal forces do a number on riders enclosed in narrow, claustrophobic stations that simulate a spaceship being launched and escaping Earth’s gravity. Riders play specific parts as team members on their way to Mars. 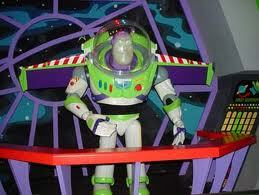 Mission: Space is so rough that a milder version of the ride had to be introduced. 6. Horizons (EPCOT Center): This long-gone pavilion at EPCOT Center was a nifty dark ride that showed how early visionaries viewed our future (with nods to A Voyage To The Moon). The latter part of the ride showcased families living in futuristic environments like onboard a space station. The finale allowed riders to choose from three different future environments (desert, ocean and outer space) to explore. 5. Back To The Future: The Ride (Universal Studios): Possibly the greatest old-style simulator ride of all time before innovations like 3D were added to these types of rides. Visitors at Doc Brown’s (Christopher Lloyd) Institute of Future Technology had to ride a modified time-traveling DeLorean to chase down another DeLorean driven by Biff Tannen (Thomas F. Wilson). Huge IMAX screens and especially rough rides added to the illusion that the vehicles were time-traveling to different eras. 4. Terminator 2 3D: Battle Across Time (Universal Studios Florida): The 3D effects in this attraction still hold up today and the pre-show presentation is fun to watch. What is interesting is that it is the final time that director James Cameron worked with the stars from Terminator 2: Judgment Day, Arnold Schwarzenegger, Linda Hamilton, Edward Furlong and Robert Patrick. In the attraction, a Cyberdyne Systems demonstration of their new primitive T-70 robots are interrupted by Sarah and John Connor, as well as the T-1000. Fortunately, the heroic T-800 Terminator comes to the rescue as the attraction seamlessly blends live-action and 3D effects. 3. The Amazing Adventures Of Spider-Man (Islands Of Adventure): This ride uses different technologies (3D, pyro effects, simulators, etc.) to create one of the most exciting rides ever. Riders board a news vehicle and encounter Spider-Man as he battles Doctor Octopus, Hobgoblin, Electro and others throughout New York City. Riders are literally thrown into the dizzying, aerobatic action when Doctor Octopus uses an anti-gravity rifle to elevate the ride vehicle over skyscrapers, as he and his cohorts battle Spider-Man. It’s all a wondrous blending of different effects that throws riders into the action. The way Spidey lands on the vehicle is still thrilling after multiple rides. 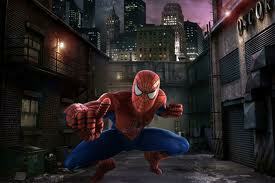 The Spider-Man ride recently underwent an HD upgrade that adds even more eye-popping depth to the experience. 2. Star Tours: The Adventures Continue (Disney’s Hollywood Studios/Disneyland): This update of the original Star Tours keeps the simulator ride refreshing by offering several different scenarios. 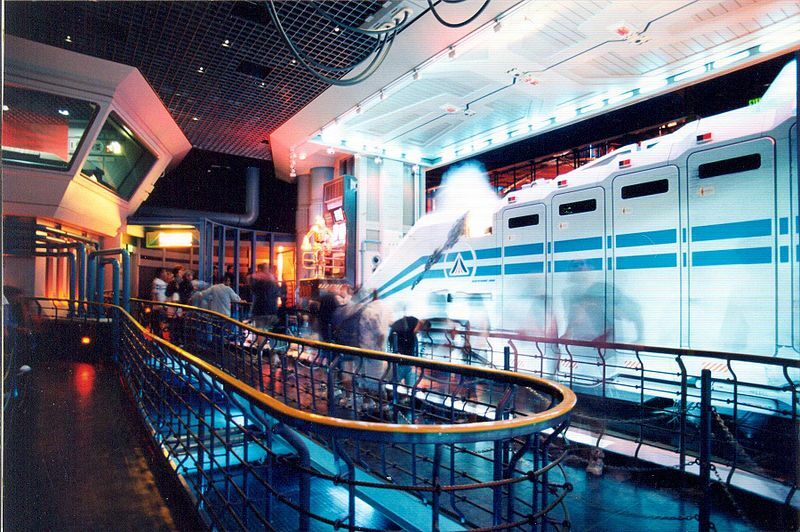 The premise is largely the same, riders visit the Star Tours station and board a Starspeeder vehicle. This time, the droid C-3P0 accidently becomes the pilot of the vehicle that captures the interest of imperial forces, who are looking for a Rebel spy onboard the vehicle. Sometimes Darth Vader himself tries to seize the vessel using the Force The Starspeeder narrowly escapes and takes off to safely deliver the Rebel spy through random locations. They range from the ice planet Hoth to the desert planet Tatooine. Another bonus is that the ride is in 3D, but Star Tours: The Adventures Continue is so great that it doesn’t need the gimmick. 1. Klingon Encounter (Star Trek: The Experience): It really is a shame that Star Trek: The Experience closed because not all fans were able to go to Las Vegas to experience the Klingon Encounter ride/attraction. 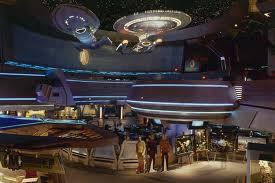 Guests were seemingly transported onboard the Enterprise D as it comes under attack by rogue Klingons. Thanks to the faithfully recreated details of the ship, including the bridge, guests were made to feel as if they were actually onboard Captain Picard’s ship. The actors who interacted with guests as Enterprise officers helped sell this illusion, as well as the shuttle ride that concluded the attraction. No other ride or attraction went to this level to immerse a guest and make him or her feel as if they’re part of the storyline. Paramount or CBS should really try to bring this encounter back somehow–but they should pick someplace more compatible instead of Vegas.